Hello! I'd like to promote multiple comms, almost all of which are CSI related. The first comm I'd like to promote is dflackicontest. If you are a fan of Don Flack, and love to make icons you should join dflackicontest. It had been a bit dead because of issues, and tried to restart it, but most everyone had disappeared. So maybe new blood would help at dflackicontest. The second comm is csiny20in20. I am the new mod over at csiny20in20 and would like to find some additional contestants. This is a 20in20 challenge for CSI:NY. We are currently hosting sign ups for the 5th round. If you would like to sign up, please visit csiny20in20 for more information. I am also the new mod over at dl_stills. We are currently doing voting on the most recent round, and would like some more votes (and challengers) over at dl_stills. 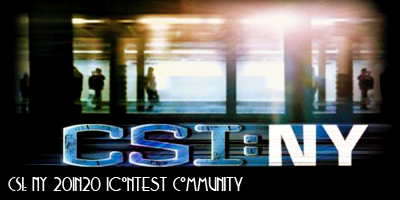 If you love Danny Lindsay from CSI:NY, and love icon challenges, dl_stills is for you. I kind of gave up on stella_stills, but would like to advertise it in case anyone wants it started up again. stella_stills is an icontest comm focused on Stella Bonasera. Please join stella_stills and help restart a great comm. zivacote_stills is an icontest for Ziva David. I'd like to garner some more interest because zivacote_stills is a great comm. Please visit zivacote_stills if you would like to participate in the comm. 4th-Feb-2012 12:20 pm - SCREENCAPS: 8.12 - "BROOKLYN ‘TIL I DIE"
CSI NEW YORK: 8.12 - "BROOKLYN ‘TIL I DIE"
I was hoping to get some new blood into my challenge community dflackicontest I've been trying to reawaken it, and would always love some new members! 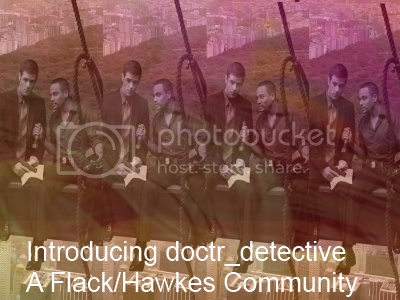 It's an icontest community for those who love Flack :D.
So everyone, what'd we think? A good start for a new season, or are we hoping it picks up from here? · SCREENCAPS: 8.12 - "BROOKLYN ‘TIL I DIE"